A clear case that locks in your phone. 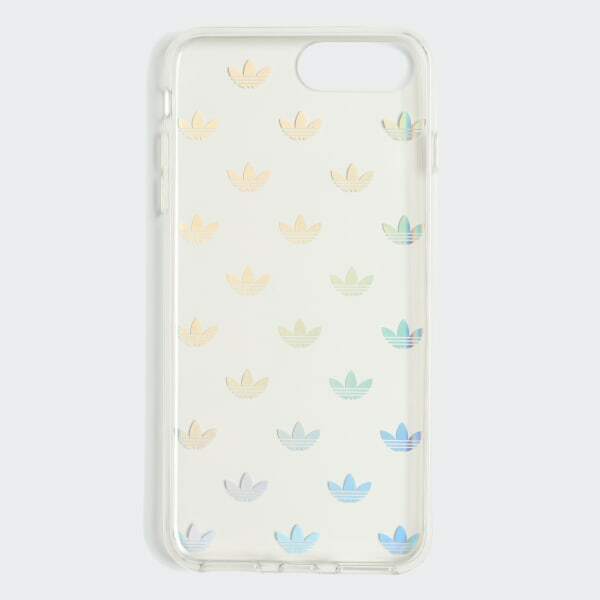 This adidas Originals clear snap case helps protect your phone from impact and wear. It's made of ultralight TPU that's impact-resistant for optimal protection for your device. An allover iridescent Trefoil print gives the case a stylish look.